This weekend was full of doing, well, not very much at all. And it was very needed so I wouldn't have wanted to do anything else. I nipped out & bought a new fluffy blanket, a big tub of ice cream (despite the fact it gives me spots - sometimes it's worth it!) and barely moved from my bed. I've been sitting with little Ralphie who hasn't been feeling his usual self (he has a few health problems that he's always had but sometimes they flare up a little more than usual) so lots of cuddles have been needed - he's looking a lot better today though & he's currently tucking into some veggies! There are so many books that I want to read but I've had to put them aside because I need to finish Little Women for my next assignment. I've been a little distracted with Ralphie so I'm only a couple of chapters in and I can't say I'm enjoying it all that much so far but I guess I haven't given it a fair chance yet. The other option I have for this assignment is Treasure Island and I'm currently trying to decide which is the one I should go for. Which would you choose? On Saturday night I was in the mood to watch a really silly film that would make me laugh so we browsed the new releases on iTunes and chose This Is The End. It did the trick, it took my mind of things for a little while and had me chuckling away merrily. What is your current favourite blog to read? I tried to read little women a few months ago but couldn't read too far in without getting distracted by other books, and I've wanted to watch this is the end for ages, it looks hilarious! Oh Little Women is such a nice book, I hope you get into it a bit more :) have you seen the film? It might help you get into it better. I discovered Downton Abbey this weekend and that is pretty much all I did. Wrapped up in a blanket and watched the entire first series and some of the 2nd. Safe to say I am now hooked! The end of that film was possibly the best movie ending ever! Hahaha! Aww this is such a sweet little post, it's always nice to hear what others got up to and it seems everyone was having lovely relaxing weekends....I was working and getting blog posts/photos ready hahaha!!! I tried to comment on this on my phone but I don't think it's worked! I can't believe Beth is back! I'm so excited by this! Sounds ideal, I spent mine painting the living room and it was exhausting! I love days when I can just curl up and do veyr little. Sadly, they seem to be few and far between at the moment. This is the End looks interesting! Will have to check it out. Really hope Ralphie gets all better! I wanted to see This is the End! I heard it was hilarious!! I keep meaning to watch that, as it looks like such an easy going funny film! I hope Ralphie is feeling better soon! and my weekend was alright! 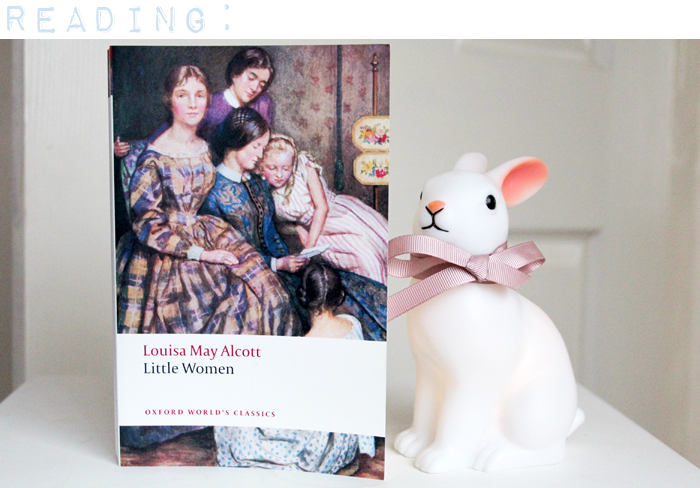 I love Little Women, I used to read and read this - I think I might even have an old school library version lying around at my mum's house, but probably shouldn't admit to that! I hope Ralphie feels better soon! You should definitely give Little Women a chance it's brilliant and I swear ice-cream is good for everyone secretly! I actually watched the same movie this weekend! HERMIONE STOLE ALL OUR STUFF! 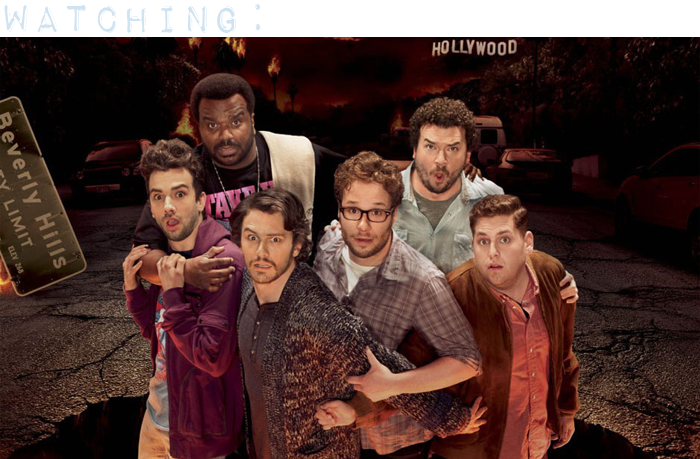 I watched This Is The End this weekend too! Definitely provided some silly laughs as a distraction from essays. P.S. Ice cream is definitely worth it! I hope Ralphie feels much better soon, and that you had a nice relaxing weekend. I didn't expect to like This Is The End as much as I did. But it was so funny, my favourite part being the end with the Backstreet Boys performing!